The main reason for P.D. This morning spent some time reading and thinking about professional development for teachers. It’s an important issue – especially these days with the public demanding we root out “bad” teachers and set up systems of evaluating teachers. Most good educational systems ask teachers to (even demand by law) engage in some form of professional development. This can take many forms but is usually formal and involves conferences, additional qualification courses, workshops, online engagement (twitter, blogs, collaboration), staff meetings etc…. Constant through all this is some level of reflection on practice. I think all of this is great but we also should ask ourselves the rationale for this. Why do we do these things as teachers? The most obvious answer I hear is that it increases our skills as teachers. And I guess that is a good thing but I really think there is a deeper and more important purpose to formal or informal (just thinking about your classes, self learning, talking to peers/friends) PD. I think we MUST engage in professional development because it allows us to see the value of ourselves. Learning is such an invisible and slow act. We don’t see the results of our hard work instantly like a carpenter, a sales clerk, a plumber. There is no immediate effect to our “cause”. It can be disheartening to work day in and day out and feel you aren’t getting anywhere, not see any tangible returns. 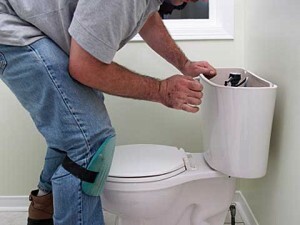 When a plumber fixes the toilet, they see the immediate result that it now flushes well and a family will be able to safely “do their number 2”. When a teacher teaches the reasons behind the second world war – it is almost impossible to see if students “got it” nor if it will have any effect on their “being” and actions as a human being. It is an invisible art we are engaged in, for the most part. We can’t see our work’s value (beyond a pay check and other tangible perks). We need a way to keep intouch with our work’s true value. I think professional development can do that. PD brings us into a wider community. It keeps us in touch with our worth, keeps us knowing we are worthy and making a difference in a very big way. It teaches that our “slow” is also “so powerful” and important to society. So I want teachers undertaking PD to think of this some time. See PD not just as skill development but as a way of celebrating and understanding our larger value to our world tomorrow.